ETI Solid State Lighting Reva Collection Linear LED ceiling light fixture uses 40-Watt lamp that has voltage rating of 120-Volt AC. Lamp has color rendering index of 80 and color temperature rating of 4000K to ensure optimal light level in the surrounding. LED Lamp offers 3000-Lumens of bright light output. It measures 4-ft x 1-ft x 4-Inch. This ceiling mountable direct wire socket fixture in rectangular shape, comes with average life of 50000 hours. It is ideal use in bedrooms, interior hallways, kitchens, living rooms and recreational rooms. 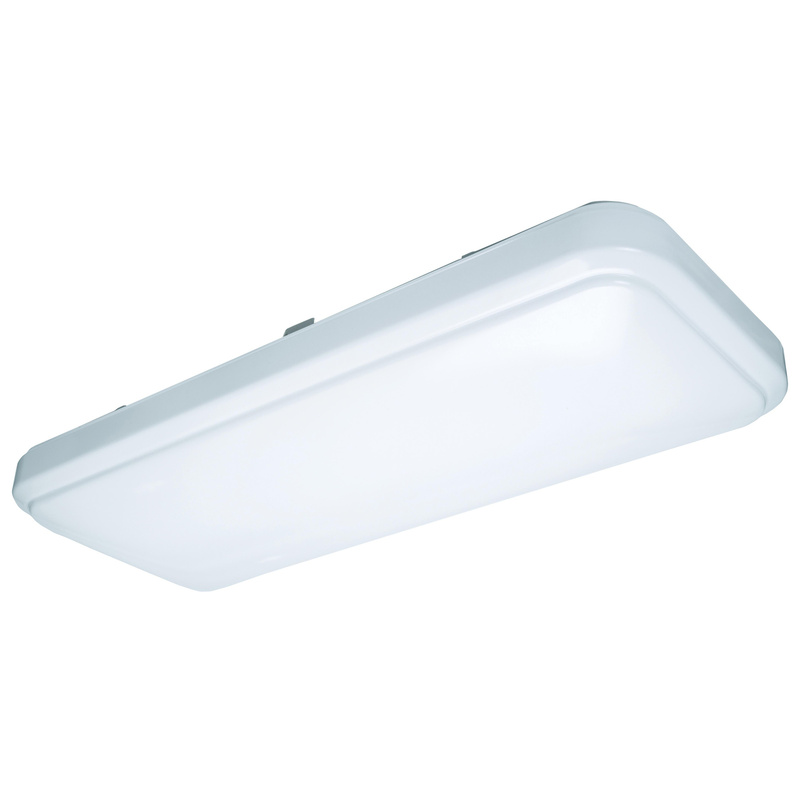 Fixture is UL-cUL listed, Energy Star qualified and RoHS compliant. * Inventory displayed is accurate as of 04/21/2019 15:40 PDT.